UPPER EAST SIDE — Despite more than two years of increasing rents across Manhattan leading into fall, rents on the Upper East Side have seen a steady decline in recent months — and experts expect prices to plummet even further. Median rents in the neighborhood dropped to $2,200 in October — their fourth decline in five months, according to a report from real estate company Citi Habitats. Rents in the neighborhood reached a high of $2,465 in May, then dropped to $2,400 in June, $2,350 in July and $2,200 in August before bouncing back in September. The Elliman report found that average rental prices on the Upper East Side fell 3.8 percent from last October. The Elliman report, which used information from its own listings, put the neighborhood’s vacancy rate at 3.8 percent. Citi Habitats report, which used information from its own listings, put the Upper East Side’s vacancy rate slightly lower, at 1.4 percent. 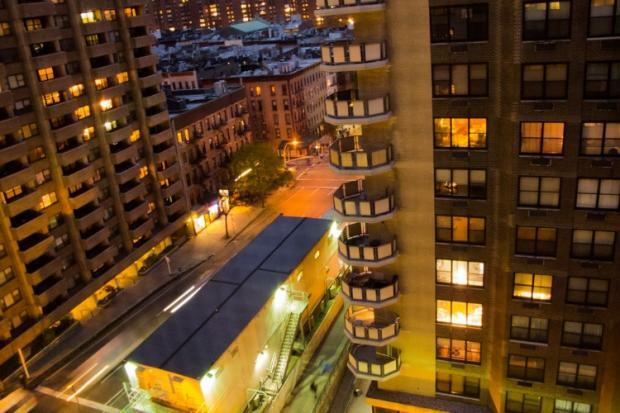 Despite the disparities, analysts and industry professionals see reasons why rents on the Upper East Side may stay stagnant for a while — with construction of the Second Avenue subway chief among them. “I can tell just by looking at the price if it’s close to the construction,” said DJ Dashti, a real estate agent at Platinum Properties, a real estate brokerage firm. Miller also sees the rise of outer-borough neighborhoods as playing a role in the Upper East Side's decline. “I think [Brooklyn] takes some of the growth potential out of Manhattan,” he said. Others point to the Upper East Side's dearth of fashionable bars and restaurants. “The trend I see is people want to live Downtown,” said Mark Menendez, the director of leasing at Douglas Elliman. According to the Elliman report, Manhattan rents on the whole had been going up for 26 consecutive months until September, when they finally declined a bit. Miller said a lack of access to credit during that stretch forced prospective buyers who were unable to get loans into the rental market. The new demand, coupled with slow improvements to the economy, drove increases all over the city, even in areas like the Upper East Side, which is typically thought of as affordable by Manhattan standards. But those days are gone for now, Gruber said, noting he sees an uptick in no-fee rentals on the horizon. “It’s creating value for new renters,” Menendez said. Of course, this recent tailing off is likely not the start of a slide, experts said. “The key is how soon the public is educated,” Gruber said.